When to use the attendance line? Use the attendance line when your child won't be assisting school and specify a reason. Remember if your child is absent for medical reasons you should bring a doctor's note and teachers will give out the missing or makeup work. If a child is going to be late for medical reasons, parents must come to school with a medical note and sign student in. No student will be accepted inside the classroom if the tardiness is not medical related. In that case, parents will have to come inside, sign the student in, and student will need to wait until the next period to be able to go to class. ** After the first period. Excessive tardiness will incur in demerits and 0 in the missed class. School gates open at 7:30 am and the bell rings at 7:57 am the gates will be closed promptly. Classes will not be interrupted for any type of tardiness. Parents will need to sign their child in as tardy in the front office. A child in Florida must attend school from the time he is 6 years old until he reaches age 16. Florida is strict when it comes to school attendance; a parent and child can both face consequences--including fines or revocation of driving privileges for the child--if the student fails to attend school regularly. According to the Juvenile Assessment Center, the State of Florida considers a child truant if he has accumulated five or more unexcused absences in a calendar month, and/or 10 unexcused absences in a 90-day period. 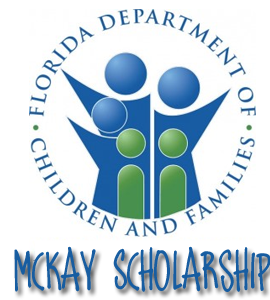 In such cases, Florida law state that the district superintendent may choose to file a truancy petition against you; if he chooses not to do this, the State of Florida will file a Child-In-Need of Services petition. According to a 2009 statutes, the state must have exhausted all legal means to remedy the truancy before filing such paperwork. If a parent fails to compel her children to attend school as the law requires, he/she could be found guilty of a second-degree misdemeanor. According to the Florida Statutes website, a parent could face a $500 fine. A teacher who allows truancy to occur without reporting it is subject to the revocation of her teaching credentials by the State of Florida.